I have been on a chicken salad kick lately. It is an easy lunch, it tastes great, and there are so many economical ways to make it! I guess it is easy to see why I am clucking for chicken salad these days! I have found some awesome recipes that I can't wait to try, and I know you are going to love them too! I had no idea there were so many yummy ways to make this lunch time staple. 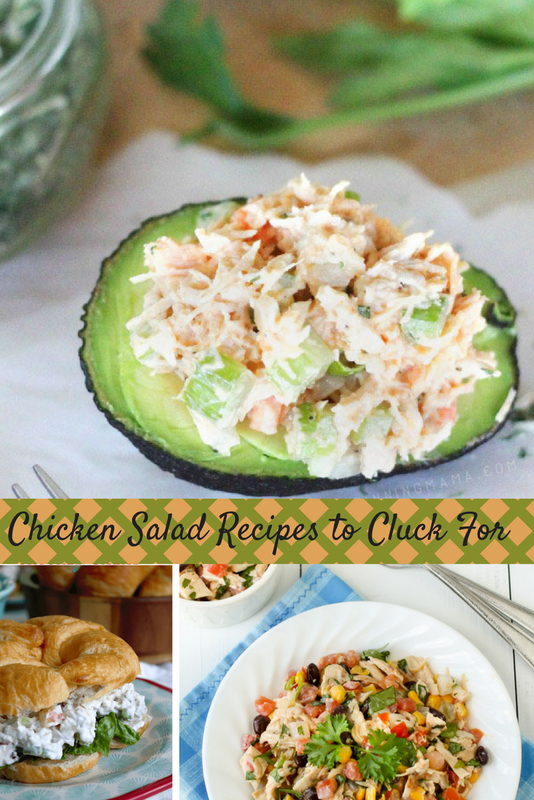 I also have a few tips to help you make the best chicken salad! Poached chicken breast is the best option for making chicken salad, but you can use a rotisserie or canned chicken if that makes it easier for you. Allow your chicken to cool, no matter how you cook it! Wait until it is cool to add it to the other ingredients. Cover your chicken salad tightly to keep it fresh while stored in the fridge. Some of the best chicken salads I have ever made have been on a whim. Made by surveying what ingredients I have on hand and making them work for me. However, these all look superb and I will be modifying my shopping list to make these happen in my lunchtime future! Which of these sounds best to you? I think they all sound perfectly devourable!